Discussion in 'iPhone and iPad Games' started by Molten Tomato, Sep 15, 2015. The game just officially launched iOS! 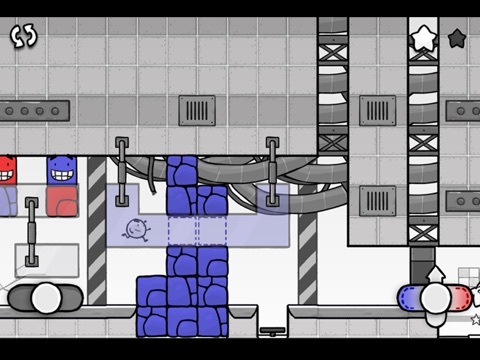 Super Happy Fun Block was made as a way to bring great console/Steam style gameplay to the iPhone - so if you are looking for a deeper mobile game experience, you should definitely check it out! It's very polished over 3 years of work went into it! It also has controller support, though there's no tutorial for how to use the controller so I recommend playing it with the touch controls for a few levels before switching. I'd love it if you guys all let me know what you think of the game! 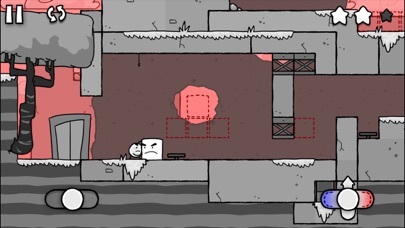 "[A] pretty amazing puzzle-platformer with a nice sense of style" - Touch Arcade, 4.5 Stars Ball's world was black and white until vibrant alien Blocks fell from the sky and destroyed civilization. UPDATE: game does not run on iOS 7. 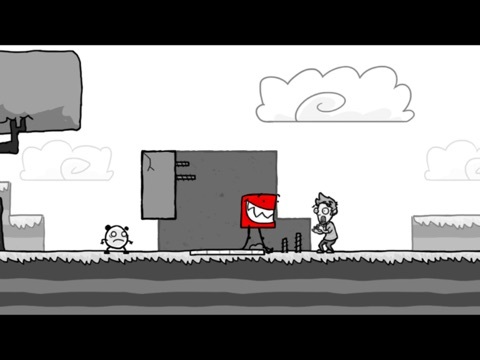 Super Happy Fun Block is a puzzle game in which changing the color of the world alters reality. Maneuver through treacherous obstacles, uncover hidden secrets, and outsmart the Blocks to help Ball save what remains of humanity. 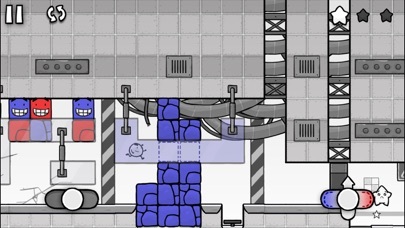 Features: - Challenge: It'll take a clever mind to solve these increasingly complex puzzles. - Animation: Hand drawn animation bring characters and the world to life. - Humor: The end of the world doesn't have to be dark thanks to expressive characters and entertaining dialogue. - Secrets: Hidden secrets reward astute players with additional content. - Control: Precise controls built for touch screens, plus gamepad support. 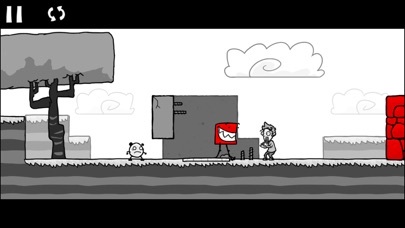 Love the art-style and it's a puzzle platformer. Buyin' now! Instabuy. Love it. Great writing, art, music, and definitely puzzles. 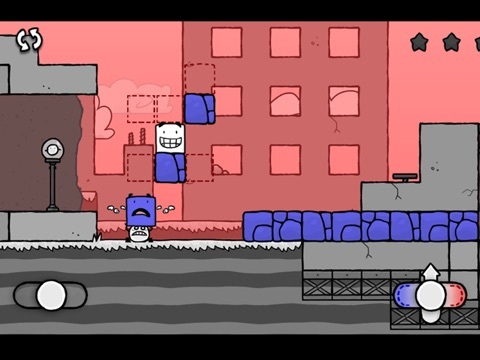 Great puzzle platformer. And personally, I love the controller support and found it intuitive. Although I did play two levels before I used a controller so I can't really say anything about JUST using a controller. Great touch controls too. But I do love my little mifi controller for platformy games. I'm stuck on level 3 Industrial City. I can't get the last star on the far left. Can someone pls message me or just post some hints? I PMed you a hint Feel free to move on without the star - you can use the map from the pause menu to return to the level later. You may pick up some tricks if you keep playing that could help you out on that puzzle. Damn this looks great! Only saved $2 credit though. So it will surely go on my back burner for next week! Congrats to the Dev. This is an absolutely phenomenal release. How this thread hasn't been getting more attention is absolutely criminal. There's such obvious love poured into this game, from the animations right down to the flawless controls. 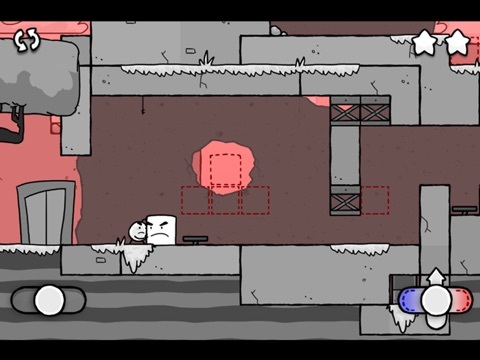 Check this out if you're into puzzle-platformers. It's right up there with the best and most charming of all of them. The lack of attention, maybe and only imho, might come from a super lame and too long name, saying "SuperHap..." under the icon that implied to me everything else, but definitely not being such a great and charming puzzler. People (as i did) might judge only from the not very appealing screenshots at first sight and easily pass over. The obvious love in this work is only to be seen in a video, unfortunately. If you like a unique puzzler, and as it seems a brainstorming one rather soon too, get this one. PS: the swiping to jump is something you have to get used to. After the tutorial, it became naturally to me. I've been following this game since the early alpha, and know the developer personally. He put an incredible amount of heart (and time) into the game and it really shows through the gameplay. Please share the love by spreading the word! Does anyone have further impressions? It looks like a solid game from a dev that put everything into it. Also, I wanted to get this thread moving a bit more! Anyone know why the window around the stars is gold in all the levels but white in level 3? I got all the stars on that level. same for me mate. and i don't know why this one is white. but this game is something special. 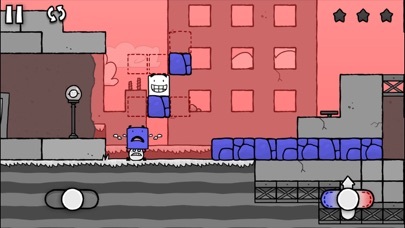 supercharming characters, smart and fair puzzles, so much polish here! Game looks beautiful, I'll be buying tomorrow. If I'm totally honest, when I was skimming new posts, the title put me off a little as it sounded....? I dunno, what the word I want is, but I'm glad I hit the threads link by accident because I might have totally missed this. I'm surprised it hasn't had more attention and I dunno if that's down to people making the wrong assumptions about the title like I did or something else, but I hope the game does really well for you. The screenshots alone show a lot if work has gone into the game. I really look forward to playing.